Mixing Procedure, Measurement Variations, Safety and Disposal of Syringes, Notes and Helpful Information. How hCG injections for weight loss are prepared is mixed from powder concentrate form are as follows. – Compliments of CaseyA. 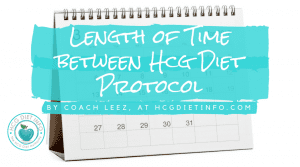 Preparation according to Dr. Simeons’ original hCG diet protocol calls for 175 i.u. daily doses. Read the Pounds and Inches manuscript here. Kevin Trudeau published a different protocol, calling for 175 i.u. to 200 i.u. dependant on various factors, including the amount of weight that needs to be lost. Discuss the amount of your protocol with your provider. 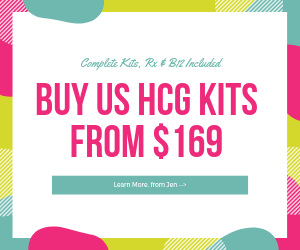 hCG in powder concentrate, injection safe sterile water, syringes for mixing with replacement needles, alcohol pads, sterile glass vial. 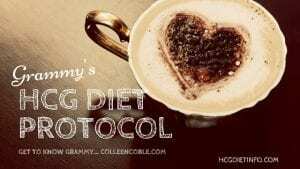 A note on the sterile water provided with the hCG: The powder concentrate includes an ampoule of liquid sterile water to be mixed with it, however, this amount is not sufficient for the hCG weight loss shots and should be discarded. An entirely new, larger vial of injection safe sterile water is required. Sterile water which can be found at any medical supply site, or pharmacy, that is safe for injecting. For 175 i.u. doses, 30 cc of water is needed. Bacteriostatic sterile water is noted to preserve the mixed hCG for up to one month. 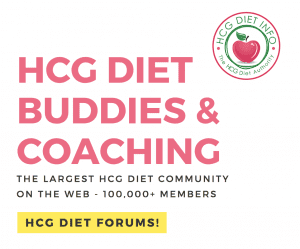 **IMPORTANT NOTE: MIXING TWO DIFFERENT LIQUIDS WITH THE hCG IS PROHIBITED. Correct prep includes the use of only one liquid, from one source, to dissolve the powder. hCG weight loss shots are prepared in a very sterile environment. The area should be cleaned with bleach or alcohol and left to air dry. Mixing materials should be laid out in the sterile environment and hands should be washed with anti-bacterial soap. Hands should be dried with paper towels. The top of the ampoule is cleaned with alcohol. Using one swift motion, the top is snapped away from the body. It is suggested that an inside out alcohol pad wrapper is used when opening for protection. The rubber top of the 30cc bacteriostatic water vial is sterilized with a new rubbing alcohol pad. The rubber top of a new sterile glass vial is sterilized with a new rubbing alcohol pad. Using a 30cc syringe, 25cc of sterile water is drawn. 1cc of sterile water is injected into the hCG ampoule, slowly down the side of the glass, not allowing the needle to touch the glass. If the needle touches the glass, replace the needle before continuing to the next step. The powder will dissolve almost immediately, with a gentle swirling of the vial. 24cc of sterile water is then injected into the new Glass vial. With a new 3cc syringe, the 1 cc of hCG is drawn. The glass vial is then sterilized with a new alcohol pad, and the hCG is injected into the new sterile glass vial containing the 24 cc of sterile water. The result is 25 doses of 1 ml doses. 1 cc of the new mixture is drawn into a new 3 cc syringe for each injection providing a 200 i.u. dose. Self injection tips can be found here. The procedure is the same as above, except 28.5 cc of sterile water is used instead of 25 cc. This results in 28 doses of 1 ml each. 1 cc of the mixture is drawn into a sterile 3 cc syringe for each injection, providing the 175 i.u. dose. The mixing procedure is exactly the same as the above procedure except 7.5 cc. of sterile water is used instead of 25 cc. Results in 7 doses of 1 ml each. 1 cc of the mixture is drawn into a sterile 3 cc syringe for each injection, providing the 200 i.u. dose. The mixing procedure is the same as the above procedure except 8.5 cc of sterile water is used instead of 25 cc. Results in 8 doses of 1 ml each. 1 cc of the mixture is drawn into a sterile 3 cc syringe for each injection, providing the 175 i.u. dose. 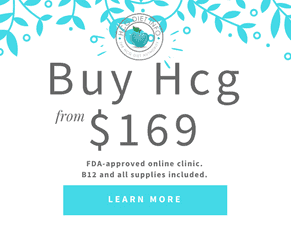 Although a very small, 29 gauge, 1/2″ inch needle is considered more comfortable for hCG injecting, most medical professionals agree that a larger, 25 gauge 1 inch needle is required for intramuscular injection. 3 cc/ml is the container size needed. Consider self-sheathing needles for the protection of yourself and others. DO NOT REUSE NEEDLES. The larger the gauge number, the smaller the needle: for example, a 21 gauge needle is larger than a 29 gauge needle. Dispose of needles in a Sharps container and NEVER discard directly in the trash. Needles should be disposed of in a safe manner. Puncture resistant containers, called Sharps containers, can be purchased online, through medical supply stores, and some pharmacies. If unavailable, place used needles in a thick container such as a plastic bottle, seal with a lid, and discard in the trash. A milk container is convenient.